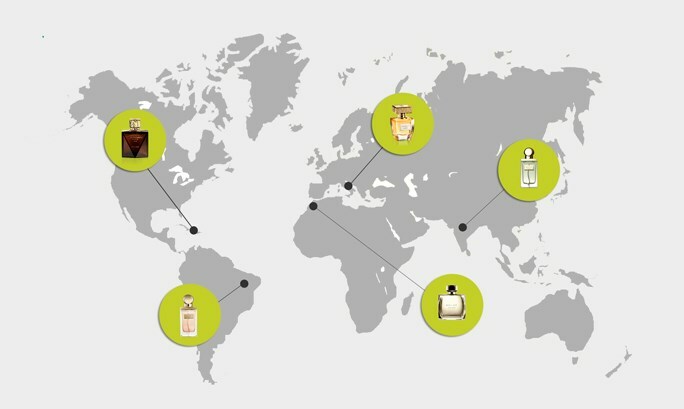 When we create our popular perfumes, we source quality ingredients from all over the world. Curious to see where some of them come from? Check out the Oriflame Fragrance Map! We’ll start our fragrance journey in Italy. Here we find Orange Blossom, an iconic ingredient in Western perfumery. 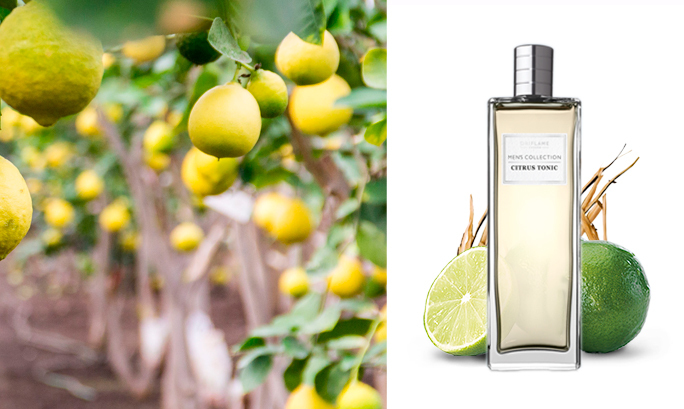 Also called Neroli, Orange Blossom became popular in Italian high-society in the 1600’s, and now Giordani Gold Essenza Parfum captures a unique fragrance note distilled from the finest Italian orange blossoms. We also source fresh citrus fruits, especially lemon oil, from Italy. They have an uplifting quality and create a refreshing scent. This is exactly why it has been used as one of the favorite notes in many fresh and uplifting fragrant compositions, including Men´s Collection Citrus Tonic Eau de Toilette. Travelling east we find the blooming fields of Bulgaria. Here we source roses for perfume oil that’s used in Volare Eau de Parfum. Roses give perfumes a very romantic and sophisticated scent and is one of the biggest floral trends right now. Heading for a warmer climate, Morocco is next on our trip. This is where we source one of perfumery’s oldest ingredients – Cedarwood. Known for being very aromatic it’s very calming and pure. That’s why it’s the signature note in Eclat Homme Eau de Toilette. Going further south, we find the tropical island of Madagascar. 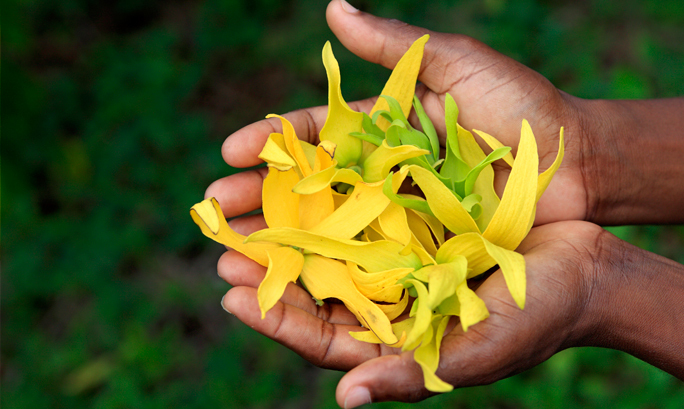 Here we source Ylang Ylang, renowned for its aphrodisiac properties and sensual scent. So, it made sense to use the highest quality oil in Possess Woman Eau de Parfum. Let’s travel east to find one of the most iconic ingredients in classic perfumery – Tuberose. The Indian flower is used in exclusive, premium perfumes for its opulent character. 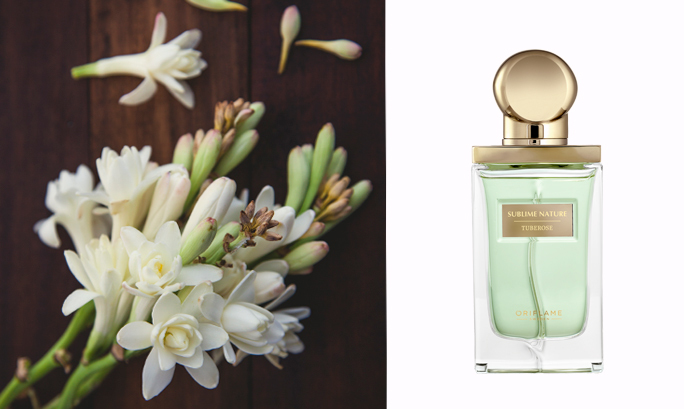 Our fragrance, Sublime Nature Tuberose Parfum, expresses the fresh and dewy scent the flower has at dawn. Looking for earthy scents, we keep travelling east to Indonesia. Here we source Sandalwood – one of perfumery’s most valuable ingredients. It’s the ingredient that gives Volare Gold Eau de Parfum its sweet and woody base note. Let’s keep the tropical theme going and look across the Pacific Ocean. In Brazil, we find the Amazonian treasure Tonka Bean. Harvested after the monsoon rains, it unveils its gourmand facets as it dries in the sun. We celebrate its beauty in Sublime Nature Tonka Bean Parfum. Let’s end our journey by travelling north. In Haiti, we find Vetiver, which is often described as the golden oil of perfumery. It’s woody, smokey character and elegant nature lent itself perfectly to Giordani Gold Man Eau de Toilette. The last stop is Guatemala where we source Cardamom – one of the world’s most expensive spices next to saffron and vanilla. You can find Cardamom notes in Men´s Collection Dark Wood Eau de Toilette.